Welcome to my Bespoke coaching page for my Advanced students in Holistic Belief Reprogramming, our advanced version of EFT tapping! By now, you’ve probably already experienced the magic of Holistic Belief Reprogramming for yourself. And now you want more — of course! (Reminder: I have clients all over the world … we can work together no matter where you are so long as you have an internet, Skype, or telephone connection). Goals that seemed impossible are now within reach. Tasks that seemed difficult become easy. Patterns and interpersonal conflicts that seemed “stuck” and beyond hope get resolved easily and effortlessly. More about Advanced EFT Tapping Coaching with Erika Awakening … Because I have practiced HBR for years, worked with hundreds of people, and devoted myself to creating this comprehensive and holistic system, a few HBR sessions with me will save you months IF NOT YEARS of effort. I see the same patterns with clients over and over again, and I have developed SECRET SHORTCUTS to get you unstuck and on your way to living a spectacular, unlimited life. Please take the time to read some of my clients’ testimonials as part of your discovery process. Listed below are my current coaching options for Advanced HBR students. People’s issues vary greatly in complexity. The best way for me to assess which extended package is best for you is to talk with you one on one. Please sign up for my Intro session. You can tell me EVERYTHING that is going on in your situation, and I will tell you EXACTLY how we are going to solve your problem. Refund policy: Please understand that by signing up for one of my programs, you are making a FIRM COMMITMENT. Introducing ANY form of doubt or hedging into this process will only hurt your results. I am 100% committed to your success. Coaching fees are not refundable for ANY reason. Payment plans: Yes, I will help you afford my programs with payment plans. You can send me an email letting me know what deposit and payment schedule you can afford, and we will go from there. We can build the perfect bespoke coaching program for you. A shorter-term bespoke package is perfect for getting a particular issue resolved (e.g., approach anxiety, public speaking anxiety, financial limiting beliefs, etc.). Minimum five sessions and usually minimum ten sessions. For more complex issues or a total LIFE OVERHAUL, we will work together for at least six months to a year. 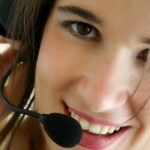 We can combine Skype sessions with in-person intensive coaching. It will be fun! The more daring and challenging the goal, the better. Let’s choose projects that are truly inspiring for both of us. Transformation of “terminal illness” and “near-death” situations can be done … I’ve done it twice, once each with two cats. It is a massive, massive commitment. Please understand we are talking about a multiple six-figure investment for this kind of program. And you will need to commit yourself 100% in every other way as well for us to succeed. Audio recordings available for Skype sessions for an additional $97 per session if the audio is requested before or during our scheduled call. For audio recordings requested AFTER we get off the call, the audio fee will be significantly higher and at my discretion. This higher price reflects the time and bandwidth that goes into finding and sending these recordings. I do usually keep audio recordings in long-term storage so if you want to get recordings from calls we did years ago, please contact me. Contact me to create a divinely inspired bespoke coaching program, especially designed for you. To ensure a firm commitment, which is essential for your results, all payments are non-refundable. NEW: To get a lower rate by making a longer-term commitment, check out my Save Big By Making A Commitment Packages by CLICKING HERE. This option is perfect for times when I travel to a location near you, or you travel to see me. Please understand that this is a five-figure coaching commitment. I will consider traveling to your location if you also cover travel costs. In the United States, you can expect this will be a minimum $10,000-$25,000 investment. Serious inquiries only, please. Private Retreat to Lake Tahoe Area, California with Erika Awakening. These retreats are hosted in my private home in Truckee, California. The skiing and snowboarding are great in the winter, but you can do this retreat at any time of the year with enough advance notice. Learn more here. NEW: We can go anywhere in the world! Would you like to explore Bora Bora, Fiji, Costa Rica, Bali … where else would you like to go? One week minimum for coaching trips outside the United States. You can expect that my coaching fee will be at least $25,000 per week plus my expenses (which would likely be in the ballpark of $6000-$15,000 per week depending on where we go). You will receive at least 20 hours of intensive coaching during a one-week trip unless we agree otherwise. Serious inquiries only, please, at Erika@ErikaAwakening.com. This is Erika Awakening’s Signature Coaching Program, because she not only works with you to apply HBR to the issues and sticking points of your choice, but also she teaches you her ENTIRE HBR method, so that you can not only apply it on your own to yourself but also with your own clients. Includes 15 full 80-minute sessions, devoted half to teaching the material, and half to applying it to the issues of your choice. 15-week program is described in detail here. Includes recommendations for reading and other opportunities specifically tailored to what YOU want to focus on. Includes unlimited email support and mentoring during the 15 weeks. May be tax-deductible (consult your tax professional). Recommended for those who want to learn the Secrets of the Universe, obtain the Keys to the Kingdom, and/or potentially start or enhance a coaching practice of their own. Once you learn this system, you can apply it to virtually ANYTHING. The tuition for this course is NOT negotiable and will not be discounted. If, however, you are an extremely committed and motivated individual and would like to propose a payment plan that would work for you, I am open to considering it. Please use the contact form below to discuss this with me. Entrance to this program is by application only. Please fill out the form you’ll find here for further information. I am not a therapist. I do not follow social rules or “shoulds.” I have highly attuned intuition (some might characterize it as wisdom that comes “through me” rather than “from me”). That intuition provides the guidance for our sessions. Very frequently, we are able to resolve issues in my HBR sessions that were resistant to every other form of coaching, therapy, and self-help. Although tapping has helped thousands of people and often exceeds expectations, exact results vary from person to person. Some issues can be resolved in one session. Other issues are much more complex and will require numerous sessions to be fully resolved. In addition, the exact results also depend on YOU. Your level of motivation, commitment, and willingness to get outside your comfort zone are going to have a significant effect on your results. If you have questions about my intuitive assessment about the complexity of your particular situation, please contact me using the forms above (please ONLY do this if you are serious about signing up for a session or package with me). I have no formal medical training. Complementary healing arts such as EFT/tapping do not require a license under California law, and EFT/tapping is not a substitute for traditional medical care. Those of us who use the acupressure-based technologies of EFT/tapping in our practice encourage you to get regular medical exams and consult your physician about medical issues. NOTE: I use my version of EFT/tapping, which I’ve developed by applying EFT/tapping to hundreds of issues with extraordinary results. I admire the work of EFT founder Gary Craig but am not affiliated with him in any way. My 15-Week Miracle Coaching Program is an entirely new method for achieving even more rapid results than EFT/tapping by itself. By accessing this website, you agree to my Terms & Conditions of my websites.